Part of Coast's line of durable, waterproof handheld lights, the PolySteel 400R Rechargeable LED Flashlight is designed to stand up to challenging conditions. Its housing is made of a stainless steel core wrapped in a nylon-reinforced polycarbonate material. This combination of poly and steel produces a housing that is resistant to drops, impacts, and crushing. Coast O-ring sealed the light to an IPX8-rating. 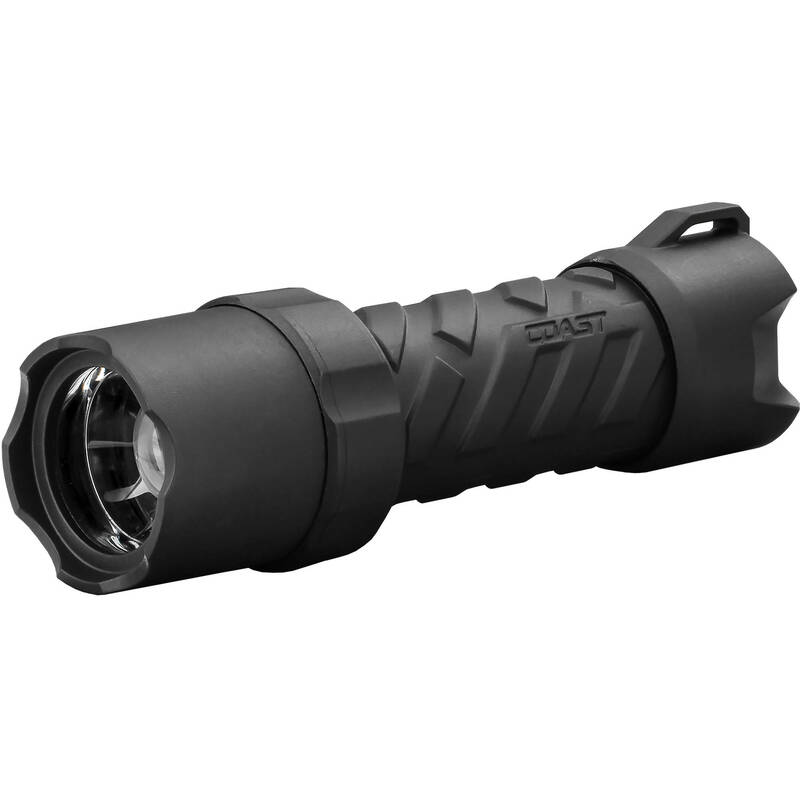 With a length of just 5.6" and weighing under 7 ounces, the light is comfortable to hold and carry. The LED delivers 40, 155, or 380 lumens, and runtime ranges from 1.5-26 hours on the micro-USB rechargeable lithium-ion battery or 3-27 hours on four alkaline AAAs. Power and brightness level are controlled using a simple push-button tailcap switch. The power pack also has a Type A USB output so you can use it to charge or power other devices. Box Dimensions (LxWxH) 10.4 x 5.55 x 2.2"